A lavishly illustrated production including two-page photo spreads of all of the 30 current major-league parks and the 3 new parks opening in 2004. Also contains photos and information on 16 old parks, many of which no longer exist. 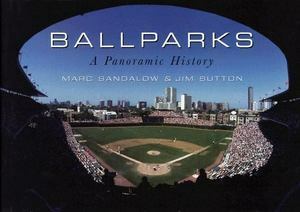 Complete histories and fascinating anecdotes about each park are also included. A perfect gift for any baseball lover, for any season!